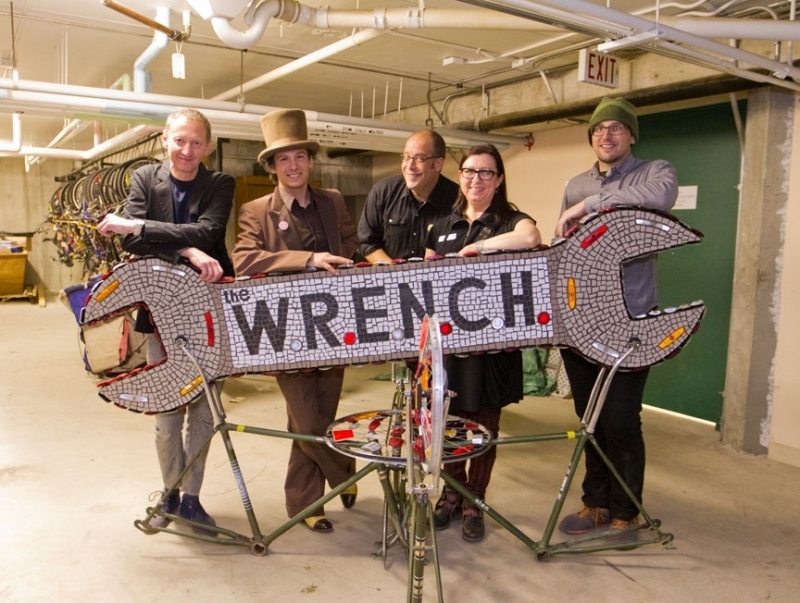 Between the autumns of 2013 and 2014, artist Dimitry Melman engaged with hundreds of participants at The WRENCH to make art from recycled bicycle parts. 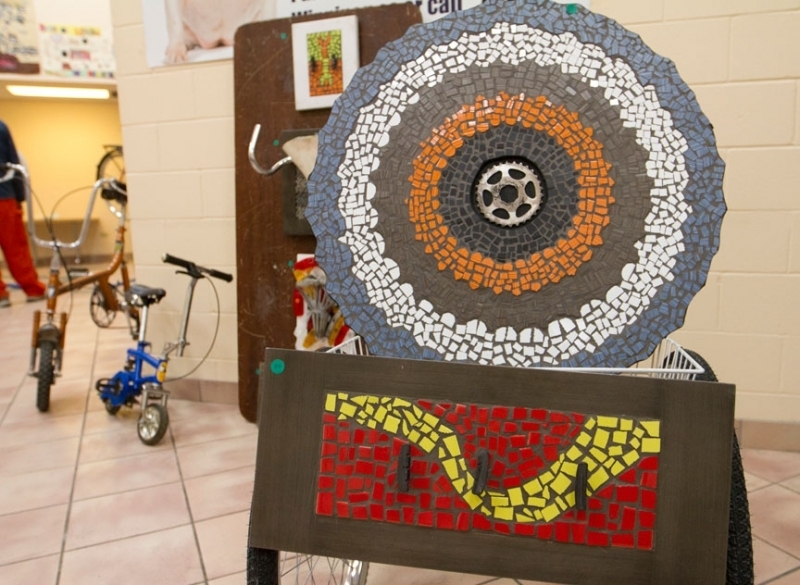 This unique art project was created through the Winnipeg Arts Council’s Community WITH ART Program where professional artists are matched with community groups to work on identity, issues, and shared goals through the development of an art project. 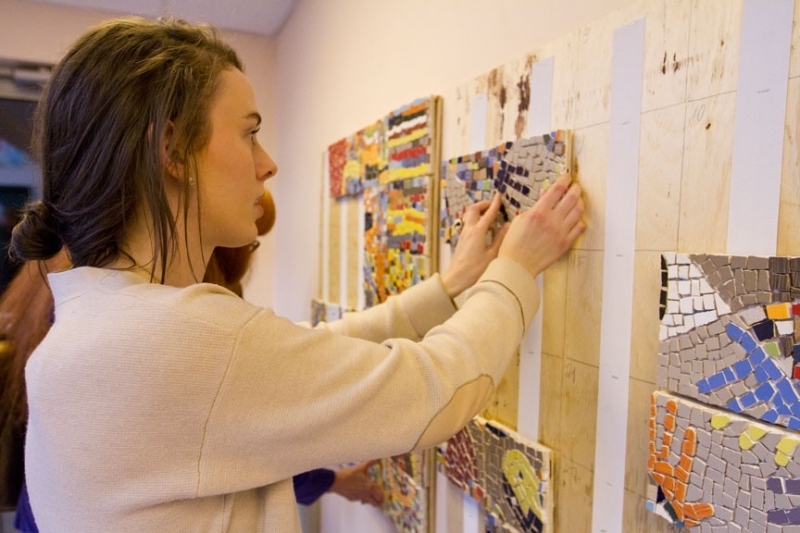 By engaging in the artistic process and interacting with professional artists, people are given a chance to express themselves and often gain a deeper understanding of their own communities. 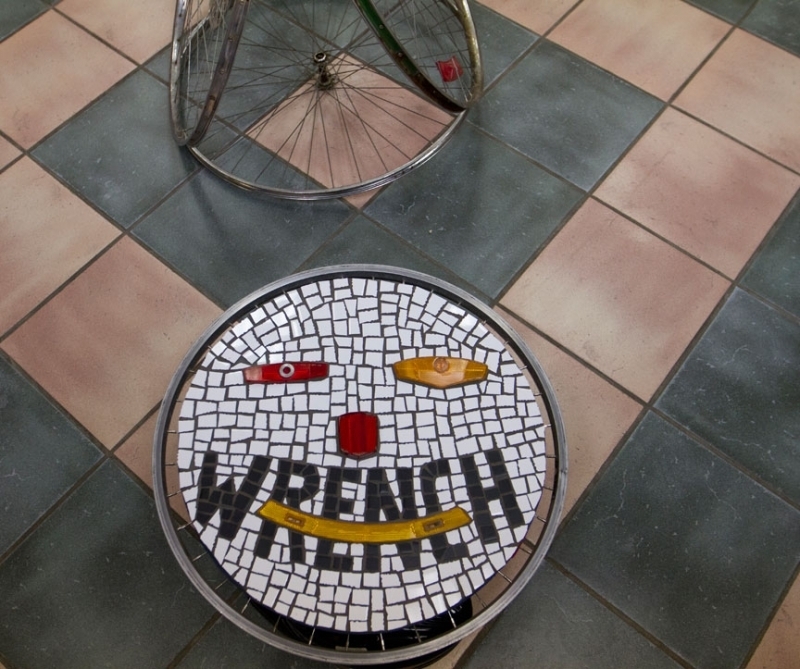 Artist Dimitry Melman worked with people of all ages to create individual artworks as well as a new sign and bike rack for The WRENCH, from bike parts, mosaics and paint. 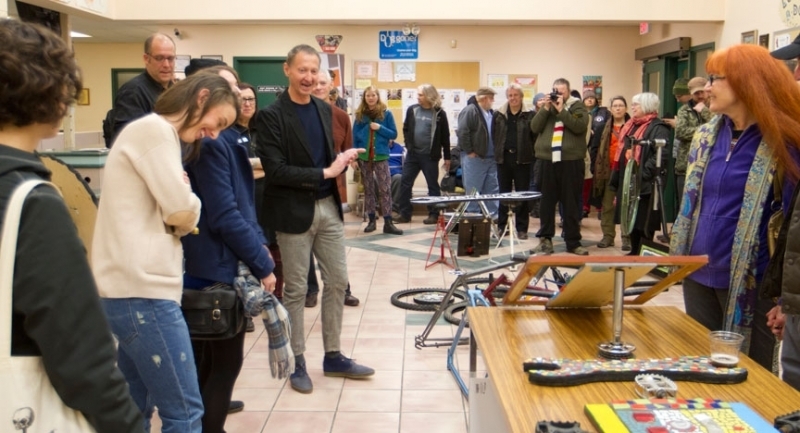 Since 2010 The WRENCH has been providing unprecedented access to bicycles and cycling to the people of Winnipeg, envisioning a city where everyone is empowered to enjoy bicycles. 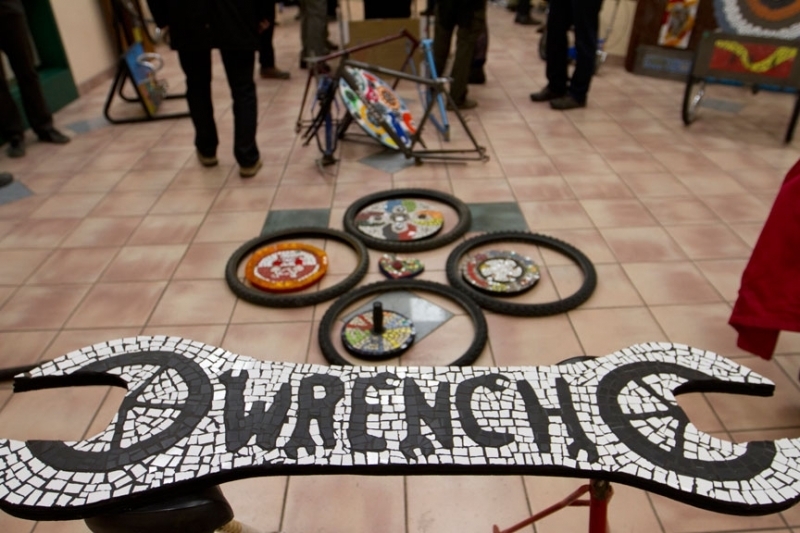 WRENCH creates stronger, healthier communities by removing barriers to building, repairing and maintaining bicycles, with a focus on educating youth. 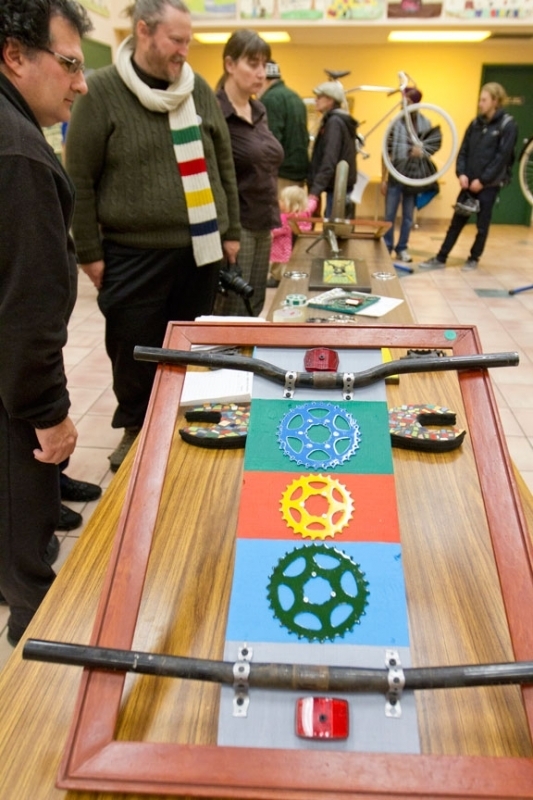 Projects and programming empower youth and other community members through opportunities that support healthy living, build community, develop valuable skills and instill confidence and self-esteem. 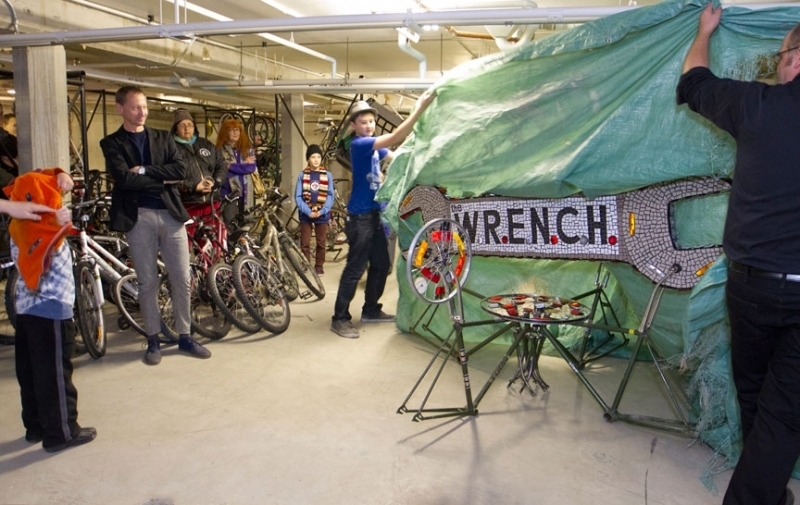 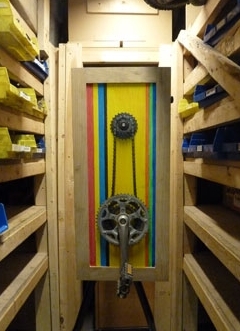 The WRENCH runs the largest and most comprehensive community bike shop in western Canada and is the only organization in the country to provide these vital services on this scale. 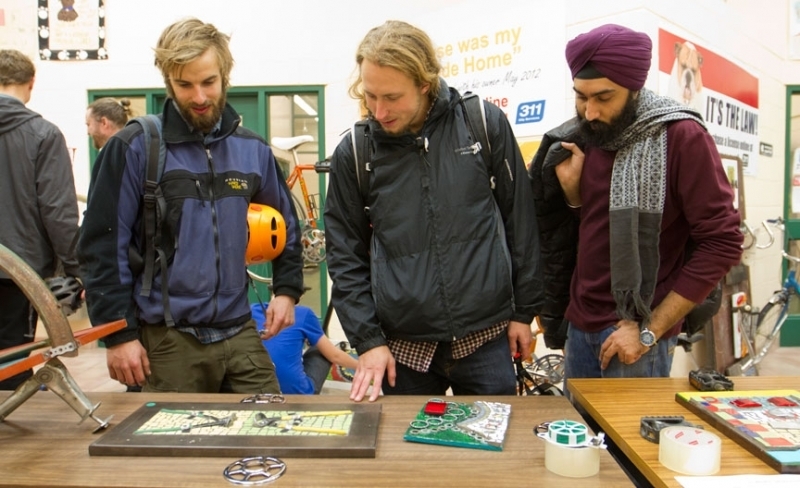 Their deep commitment to giving people skills and resources they need to be able to repair or build their own bikes is reflected in their active community outreach and in their operation on a sliding scale so that cash is not a barrier to access. 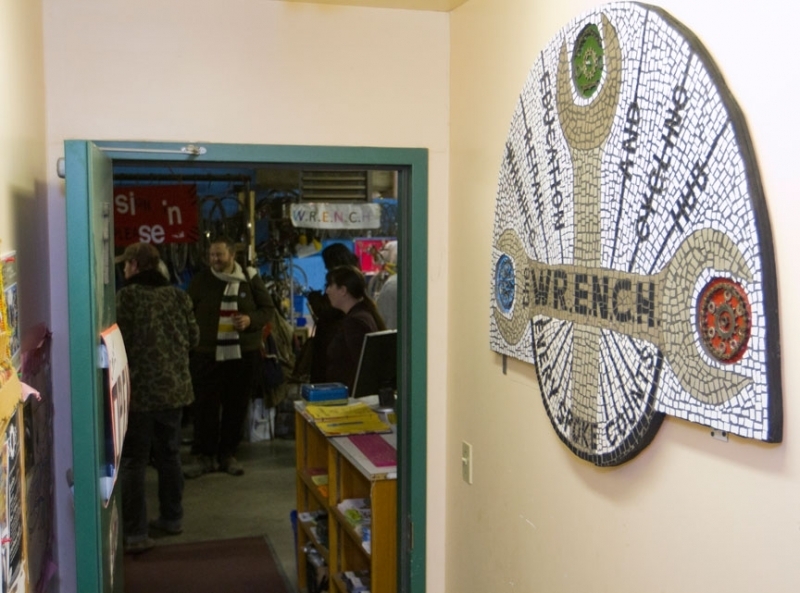 The WRENCH provides services to inner city youth, newcomers, women’s shelters and employment/life training centres. 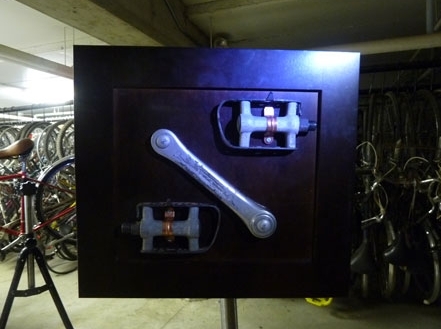 Working with artist Dimitry Melman has allowed the community to apply creative new tools and techniques for exploring ideas and their environment. 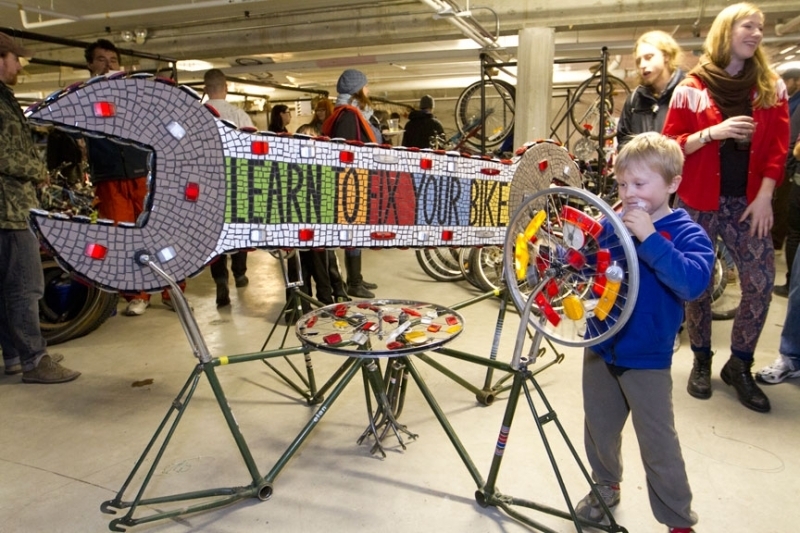 Through weekly art workshops together they explored concepts of community, the relationship between humans and bicycles, public space and the city, consumerism, teamwork and personal empowerment. 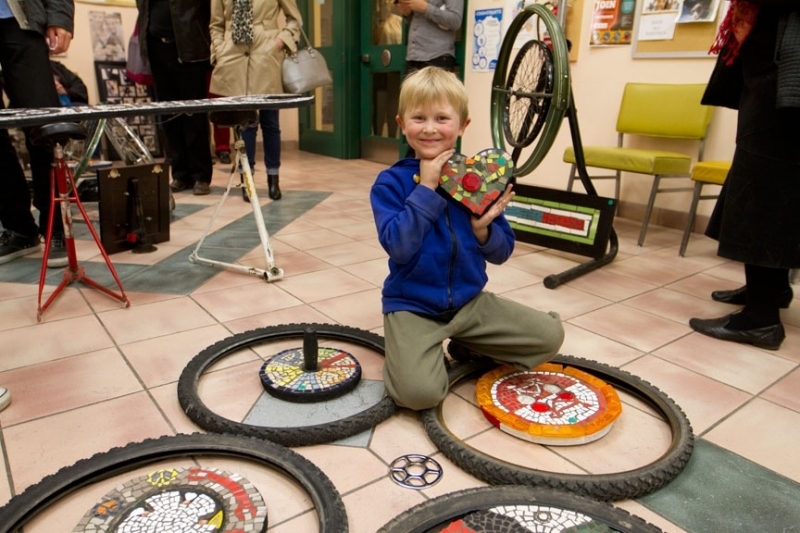 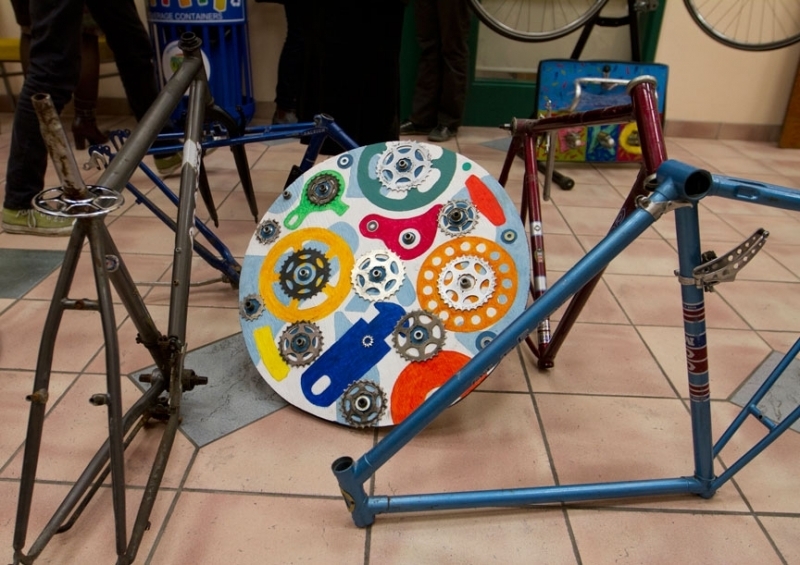 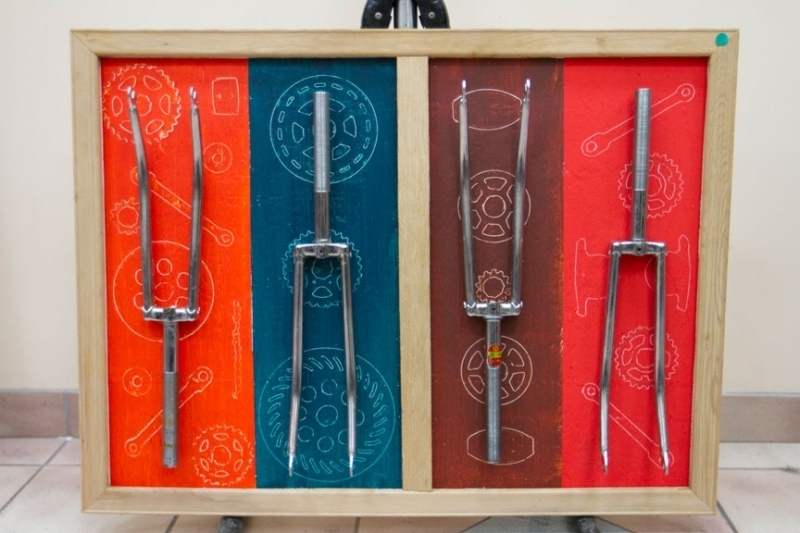 By incorporating used and salvaged bicycle parts, the art project participants have actively engaged in recycling efforts, re-purposing items often viewed as “waste products” to creative beautiful artworks. 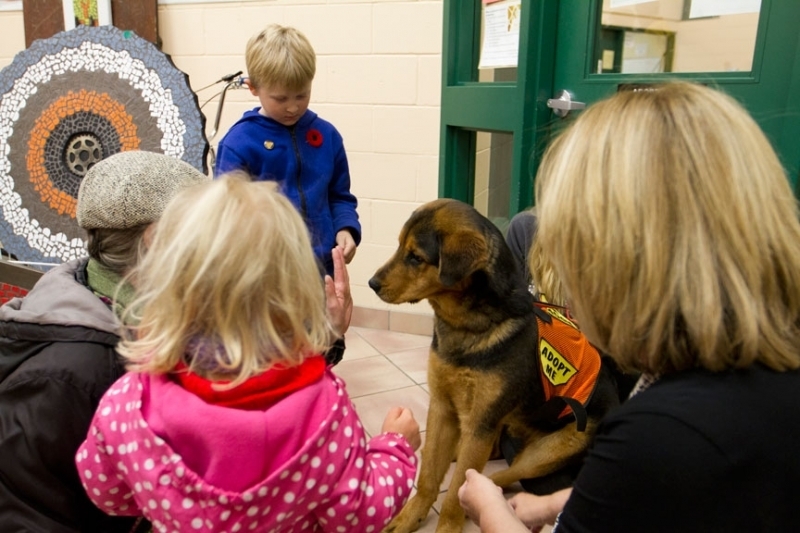 Thank you to Versapile Premium Foundations for their financial contribution to this project. 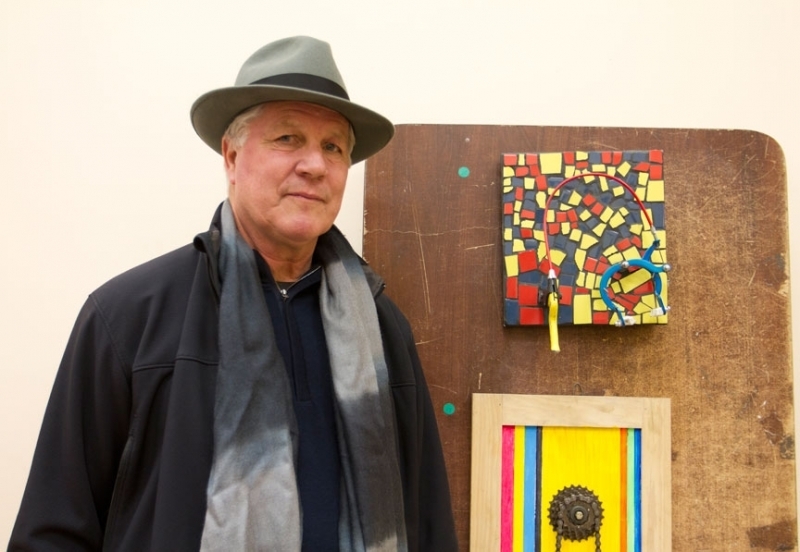 Dimitry Melman, in over thirty years as a professional artist, has gained an impeccable reputation for artistic excellence, quality and professionalism. 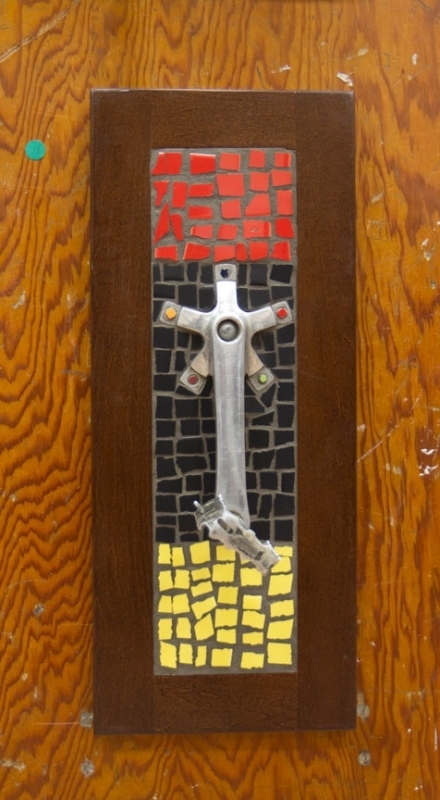 Mr. Melman’s production of gallery quality artworks meet a consistent standard of creativity that demonstrates a mastery of his media – oils and mosaics. 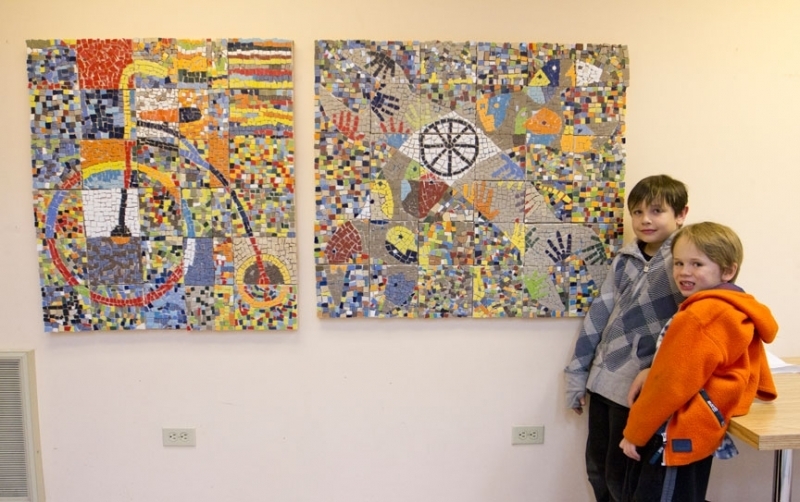 The artist’s work is installed in private collections and is on public display in locations around the world. 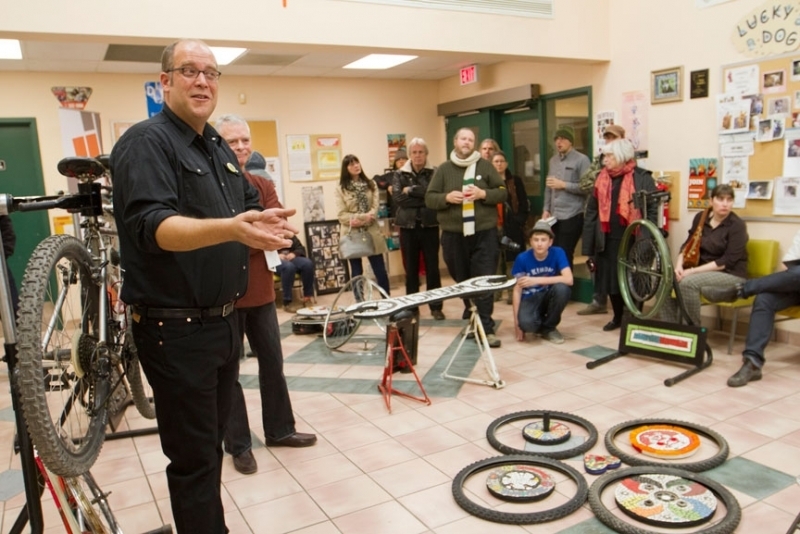 In addition to his studio practice, Mr. Melman engages with his community through work with schools, drop in centres and through workshops and classes for people of all ages. 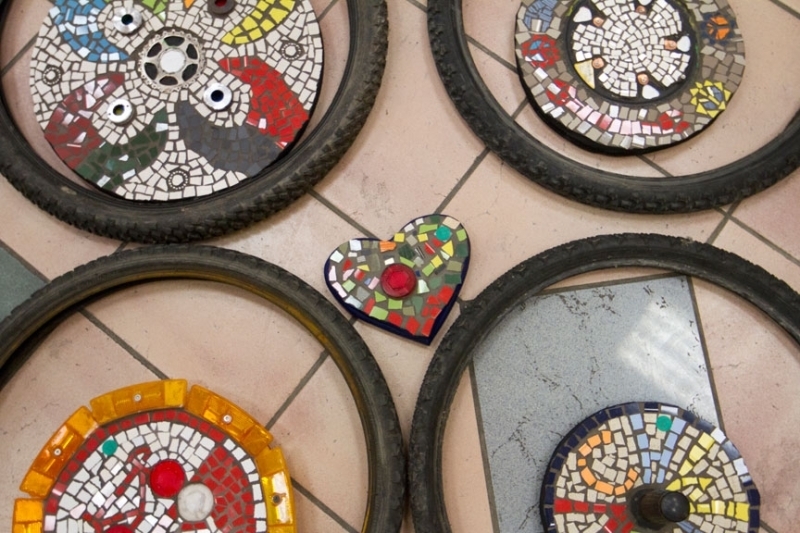 As an active cyclist himself, Mr. Melman has brought a passion for both art and cycling to this unique art project.